Jim Franklin graduated from Dickinson in 2012 with a Middle East Studies major and a Russian minor. This fall, Jim began an internship at UNRWA in Washington, D.C. The UNRWA is the United Nation’s agency responsible for responding to the humanitarian and development requirements of a population of some 5 million Palestine refugees living in the Gaza Strip, the West Bank, Jordan, Lebanon and the Syrian Arab Republic. UNRWA is the largest UN operation in the Middle East and the Washington office focuses on researching legislation as it relates to the Middle East and tracking American media coverage of UNRWA issues. 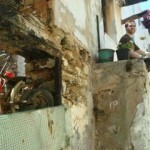 Before beginning his internship, Jim spent the summer after graduation traveling around Greece. In the photo below, he is exploring the island of Skopelos in the Western Aegean Sea. 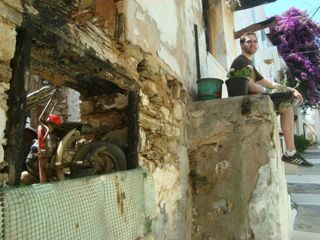 Franklin ’12 exploring the island of Skopelos in the Western Aegean Sea.